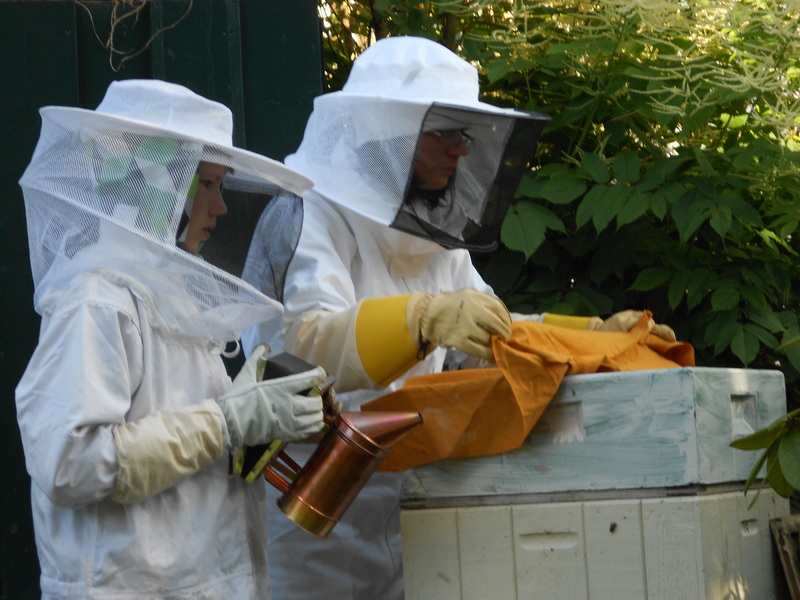 This is the bee team from Stovner in Oslo. The equipment is not standard. Ruta is wearIng an old curtain resembling a bridal veil and Marks on the right has on the hammock I slept on between the trees while Legend hunting in North Norway last year. Two weeks later and the bees are on full steam ahead. 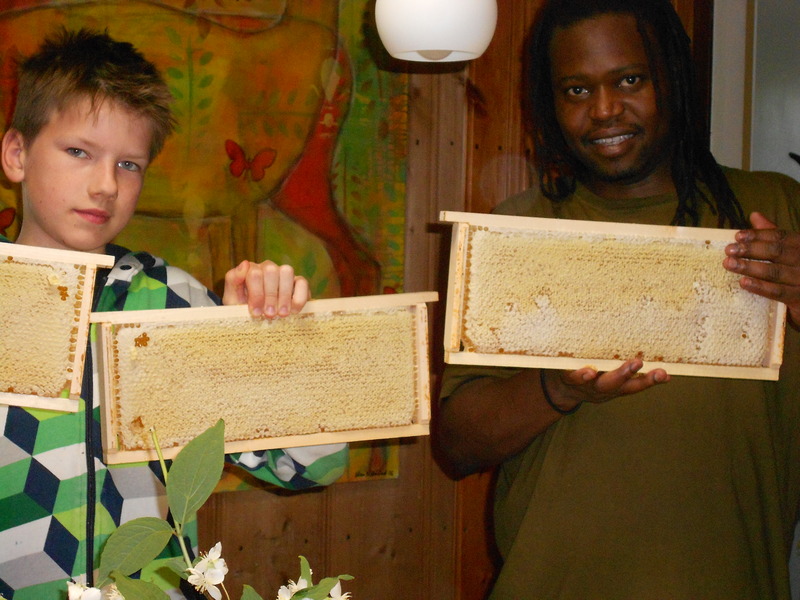 Carlton and Marks have got 3 full honey combs of two kilos apiece. And it’s not just the honey. Our young apple trees which have never produced more than 3 or 4 apples are studded with small fruits. WOh yes, the bees are busy collecting. It’s said they never sleep. And now I’m off too collecting stories in Legend hunting part two.